Christine is 38 years old and married with two children. She specializes in selling kitchenware. The client has managed to roof part of her house and feed her children with the profit from her previous loan. 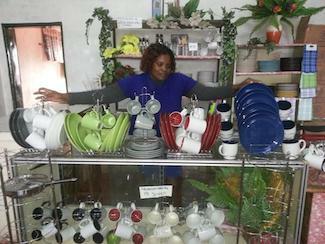 She wants to buy kitchenware such as plates and cups to meet the increased demand. Congratulations to Christine in Zimbabwe...!